The existence of slums within a megacity could be considered problematic, but there are ways to tackle this issue. 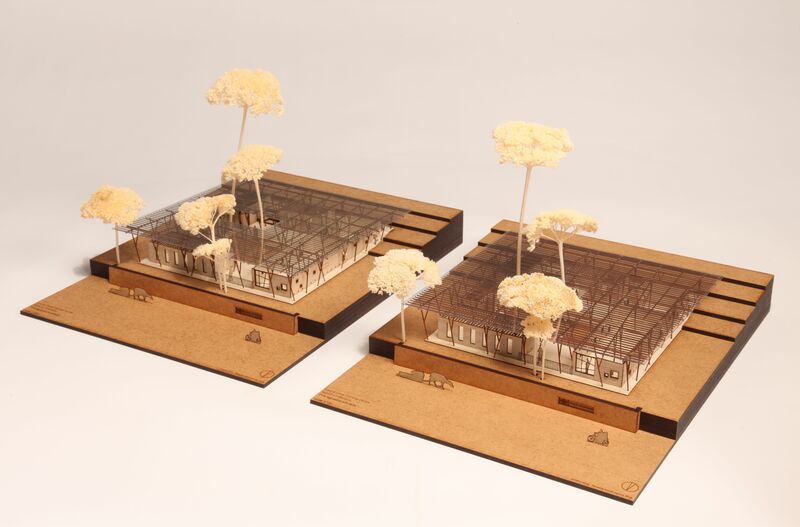 Last month I attended the exhibition ‘Think Global, Build Social – Architectures for a Better World’ at the University of Indonesia to find out how alternative architecture can help sustain slums in urban areas. Megacities – defined as large cities with a population of over 10 million people – are a huge phenomenon with cities around the world like Tokyo, Delhi, Manila, Shanghai, and New York, comprising at least 20 million people, falling into this category. In 2015, Indonesia’s very own capital of Jakarta was the world’s second largest city according to reports from Demographia World Urban Areas. But regardless of the rapid growth of megacities, we are still seeing the existence of slums taking up space in such metropolises. For Jakarta, this is especially true as the city is faced with many of them. Having said that, removing these slum areas may not be the best idea, even though the government has previously expressed the desire to be slum-free by 2019. One of the ways to cater to the coexistence of megacity and slum is through building architecture that aims to improve the prosperity of those who live in these less-privileged areas. The exhibition Think Global, Build Social – Architectures for a Better World demonstrates how architecture seeks to tackle this issue without having to eliminate slum areas, displaying 15 models that rely on affordable materials and are also accepted by the community. Speaking to Indonesia Expat, organizer of the event and Head of Cultural Programmes of Goethe Institut Indonesia Katrin Sohns, reveals that the exhibition developed by Deutsches Architekturmuseum in Frankfurt, Germany, is part of a ‘world tour’ attempting to introduce alternative approaches to preserving slum areas within a megacity. Before Indonesia, the exhibition was shown in Vietnam and will head to Lagos after it ends here. The event was held in two of the country’s top universities, the University of Indonesia and Bandung Institute of Technology, both perfect for attracting visitors and students who could potentially become key opinion leaders in the future. The models presented in the exhibition have been implemented in real life and among them are the establishments of the Green School in both Bali and Sulawesi. These schools exemplify how architecture can foster the community in socially beneficial ways. What is even more valuable about this exhibition is that it not only showcases changing trends in architecture along with the rise of megacities, but also offers different ways of perceiving the existence of slums as well as providing solutions to the tricky situation of having them within such a metropolitan setting. “The whole scope of the exhibition was basically to reflect on the shift in architecture that of course finds it still very popular to build fancy concrete and glass architecture, but as the world is being confounded with more and more megacities and more and more slums, they have become a reality. I think the shift is that you don’t try to battle the slums but you try to develop architecture that makes the reality of these slums more bearable,” Sohns explains. She also adds that although they certainly raise questions as to what will become of them in the future, slums can actually be an interesting aspect of a large city. Although the case of megacities proves to be very common in a global context, Sohns still thinks that it is important for people to keep the conversation close to their respective countries or backgrounds. In other words, cities should not be concerned with imitating the Western model, but should instead find a way to address the issue they are having in a local context that will contribute to an even broader discussion on megacities. “It is rather how you shape the realities of these megacities consisting of 32 million people and more, and the issue that you have and the way you tackle them that I think will definitely be a global discourse that will also be a relevant one,” she concludes. In essence, the exhibition Think Global, Build Social – Architectures for a Better World shows us that megacities can still work on compromising between maintaining prestige and providing care for the community.